Legit tools for legit little helpers. Enjoy quality bonding time with your little lady while teaching her valuable skills around the home. 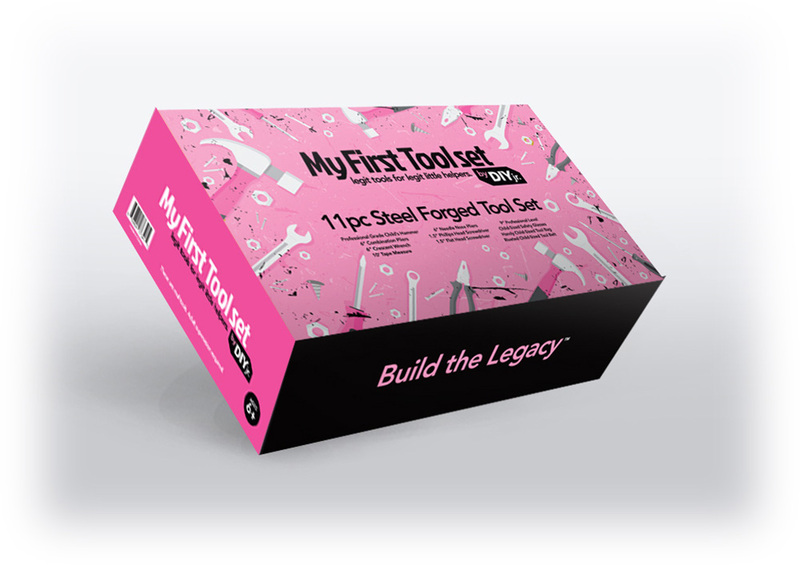 My First Tool Set - PINK is a REAL, steel-forged tool set specially designed for little hands! 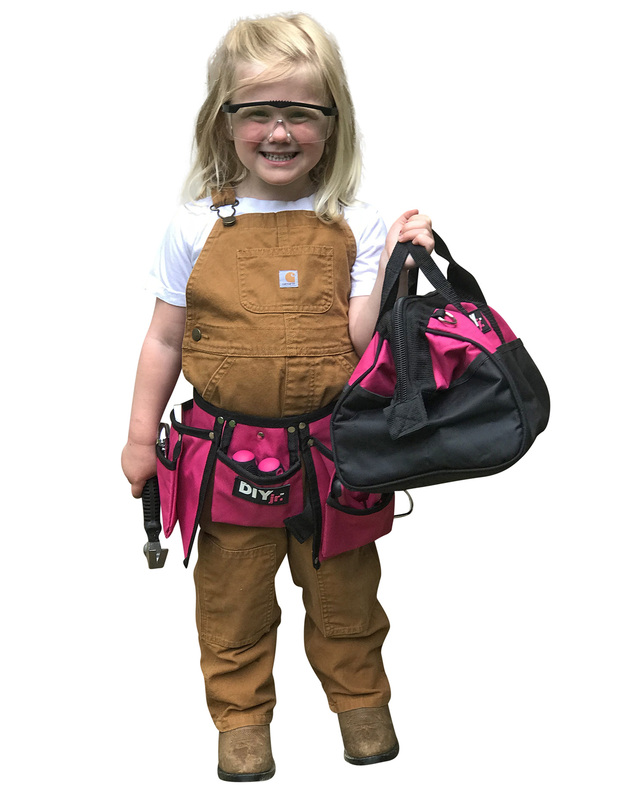 We’ve spent years carefully developing each piece of this set to be a fully functional implement that your daughter or granddaughter will be able to use at your side, with your guidance. From the spacious, pink DIY Jr. tool bag and tool belt, to the professional grade tools themselves, any lucky girl will be proud to have a set of real tools that are made just for her. As parents, we know how much our kids want to help us with projects, and how frustrating it is to work with cumbersome adult-sized tools. Watching our own children struggle with tools that were too heavy and large inspired our mission to give all kids the genuine tools they need to help. 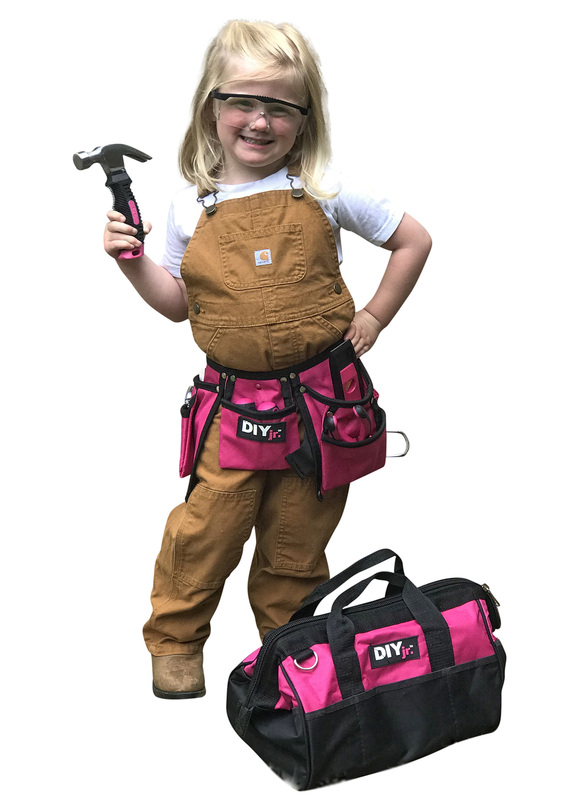 Now, your girls can put on their very own child-sized, adjustable toolbelts and learn to build, repair, and create at the side of the best teacher around … YOU! At DIY Jr.™ we believe that building the future starts at home. Giving our children the proper tools to work and learn beside us is essential for teaching responsibility and valuable skill sets that they’ll be able to pass along for generations to come. 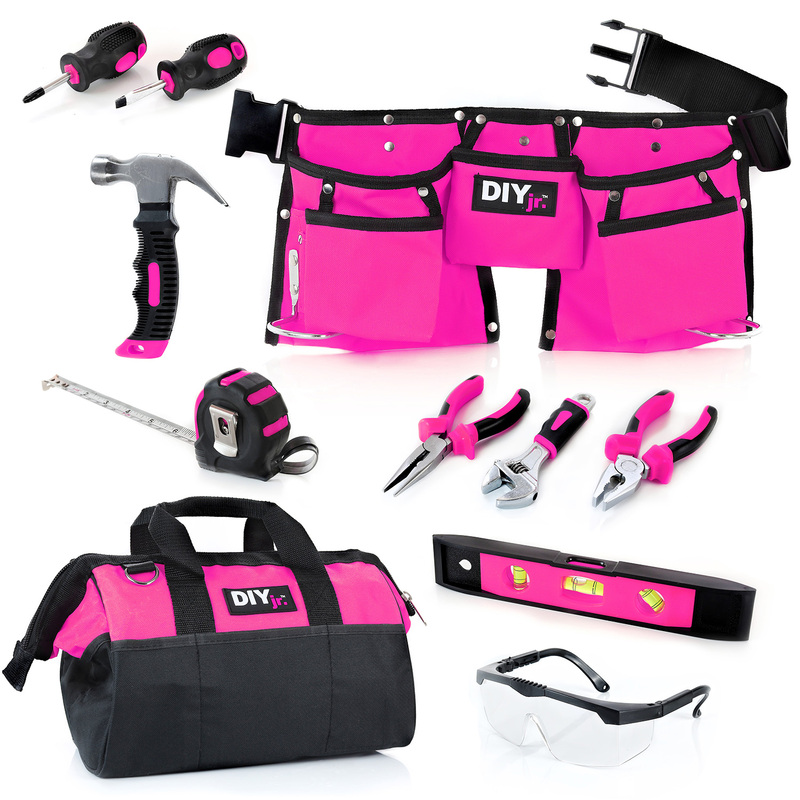 Click to see the original orange DIY Jr. ™ Tool Set.